A floating island recently popped up in the southern part of Copenhagen harbour. 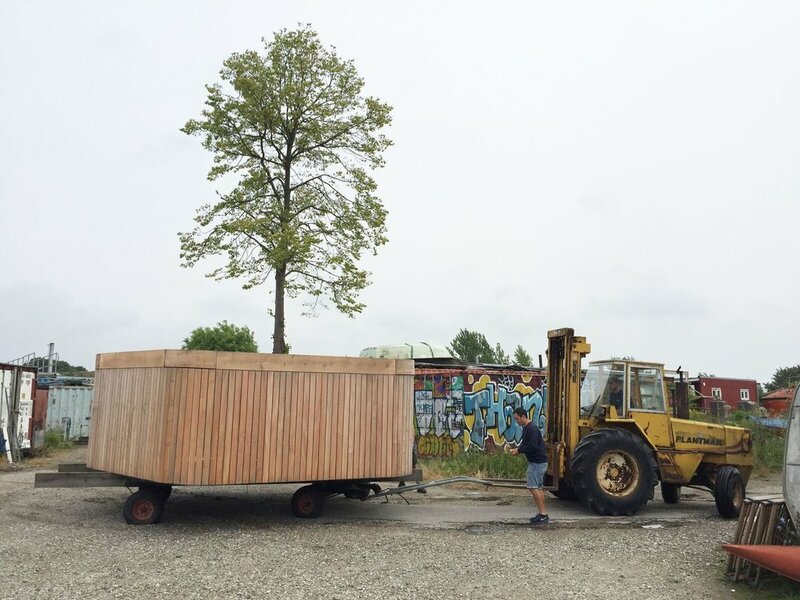 It’s made out of wood, it’s 25 square metres large, or small, and has a six metre tall linden tree standing in the middle of it. Quite extraordinary, for a man made island. The island is titled Ø1, after the single letter danish word for island, and was created in collaboration with architect Marshall Blecher and Magnus Maarbjerg from Copenhagen based design and production studio Fokstrot—a multi disciplinary studio consisting of vast array of creatives and craftsmen. 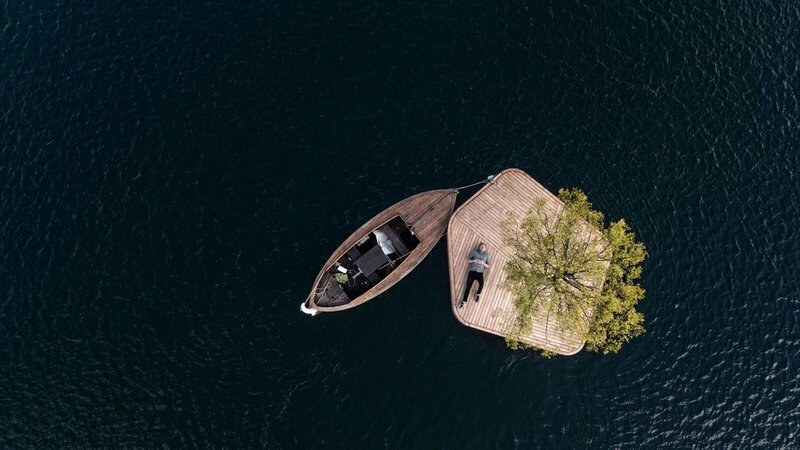 Ø1 is the first step in the «Copenhagen islands» project which will consist of a collection of islands with different functions. A floating sauna, floating gardens, floating mussel farms and a floating diving platform are all scheduled for construction. «The islands could be brought together in the wider parts of the harbour for events and festivals, or moved to catalyse activity in newly developed or underused locations», the team suggests in a press release. By using traditional wooden boat building techniques, the island was built by hand in the boatbuilding yards in the south harbour of Copenhagen. After setting its sails of leafs, the island was opened to the public and has been used for bbq’ing, stargazing, winter bathing and it has even hosted some small events. Akihisa Hirata’s Three-Ness House is a perfect example of Tokyo’s modern architecture — a contemporary building limited by space, but not by function or beauty. Los Angeles based architects FreelandBuck were commissioned to design a new site-specific installation for MINI Living at the 2018 Los Angeles Design Festival, and it looks delicious. Scanvenger Studio is a prime example of how scavenging used materials can truly be a treasure hunt—great for both the environment as well as for the wallet. A 25 square metres large floating island recently popped up in the south part of Copenhagen harbour. Is't made by hand, out of wood, and is the first in a longer line of up coming floating experiences. With their Mill Valley Cabins project, San Fransisco based Feldman Architecture reminds us that architecture is (almost) limitless, and that the residential world of construction is indeed a playground. Pioneering tendencies: Snøhetta designs the first hotel ever to be built after the Powerhouse standard, the most environmental friendly approach there is. Recently, the iconic Sala Beckett Theatre was renovated from ruins to awarded glory. The process behind it, from sketch pad to construction, has been documented through the 5-episode documentary, ESCALA 1:5. Colombian art director Camilo Monzon wanted to photograph Bogotá's structures from a zenith perspective. The results gives an otherworldly view on architecture. Asif Khan’s pavilion at the Winter Olympic Games in South Korea is described as ‘the darkest building on earth', and gives an optic illusion of being sucked into darkness, floating in kosmos. You’ll never look at architecture the same way again. That’s the assertion stated in the promotional film for the new book, Storytelling Architecture, and they’re probably right.